The highly praised ﬂagship. The most beautiful quality of artiﬁcial grass you can imagine. Strenght, colour and liveliness are brought together in this ultimate shape. Additional advantage Its colour blend. 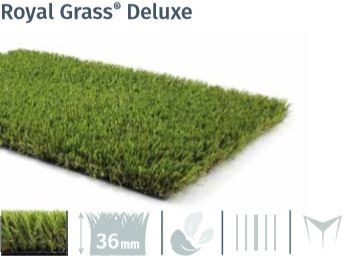 The Deluxe consists of ﬁbres of ﬁve colours that give the grass an unparallelled fresh and seductive charm.